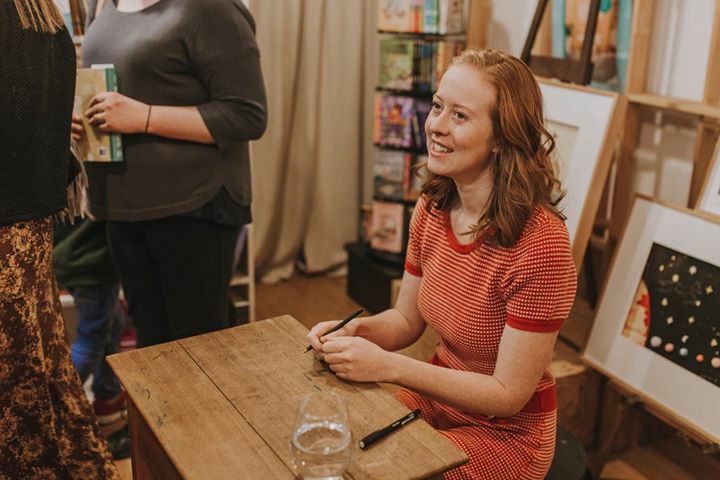 Looking back at July and August, starting with my book launch! It's hard to believe two months have passed since my book has been out in the world; held in your hands, booked out at libraries and being snapped up from bookstores around Australia and New Zealand. My book won't be available outside of Australia and New Zealand until early next year but that hasn't stopped many of you getting a copy! Thanks for all the snaps from Turkey, Germany, France, South Korea, Japan, Taiwan, Thailand and Indonesia snapping photos as you read Waste Not. Neighbourhood Books were equally excited for the book offering to host a book launch. It took some convincing by Hardie Grant PR for me say yes. I didn't want anyone wasting time organising an event no one would attend. The exact opposite happened! 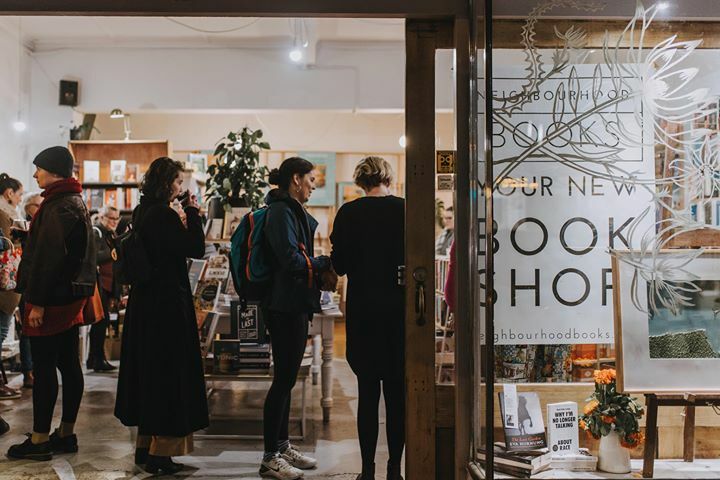 The beautiful book store was crammed with friends, family and YOU. Thank you so much for coming! I didn't stop talking all night and it was so nice to meet many of you. Apparently the food was all low waste but I didn't get to sample it as I was put on book signing duty. Thank you Hardie Grant and Neighbourhood Books for putting it together. To get their office prepared for Plastic Free July Hardie Grant Publishing gifted every staff member a copy of my book plus a reusable coffee cup. If you bought my book from Dymocks and certain book stores you may have scored a reusable tote bag of your own! My editor organised a clothing swap at Hardie Grant that I unfortunately missed due to radio interviews and filming. They are a stylish bunch there so I'm sad i couldn't attend. How good is this?! Today all Hardie Grant staff came to work and found their very own copy of Waste Not #wastenotbook by @therogueginger and a HG @solcups reusable coffee cup! Can’t wait to use both of these during #plasticfreejuly! 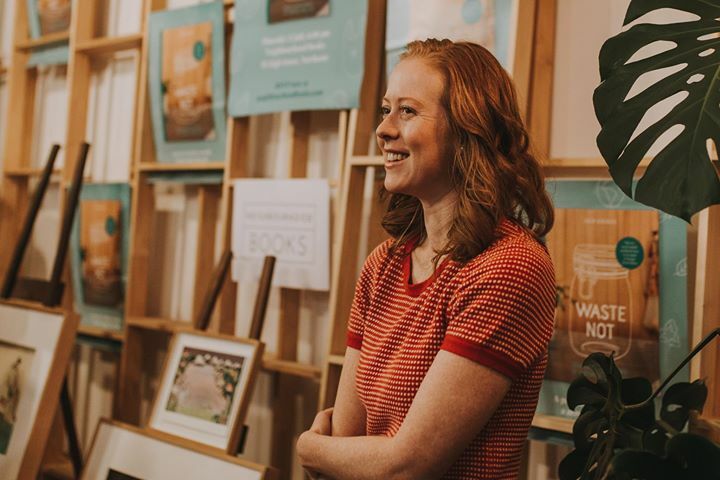 The annual Plastic Free July workshops, talks and interviews have kept me busy as usual and amongst all of that I participated in author Q&As, panel discussions and even met Bea Johnson. We also sold our house and I helped organised Victoria's first Zero Waste Festival. We ran a festival! Something I never thought i'd ever do in my life. A skill to put on the CV haha. I have updated my public events page for the remainder of the year, including two workshops in NSW. There will be more public events to come. I just wanted to stop by here to share and celebrate what has been an exciting two months. There has been such a huge interest in reducing plastic and waste this year. Truthfully I had hoped my next blog post would be celebrating a Cash for Containers announcement here in Victoria. Well, that was voted down. Oh well, onwards and upwards. Okay I better get back to packing up our house for the move.